Fabric Mart Fabricistas: New Patterns Available at Fabric Mart! I'm proud to announce that we are now carrying three new pattern lines. We polled our Facebook fans and they helped us decide which three they would be interested in us carrying. I could have picked a lot more than three different companies, but my goal was to start small and work my way up. I also have to think about our customer base and the type of fabrics we carry. Most of our customers are sewing for themselves and are sewing more casual, everyday items. We get requests for plus size patterns all the time. There isn't a huge selection out there and when I came across Petite Plus Patterns, I got really excited! They come in sizes 12-24. I selected some great basics such as buttondown shirt, pants, blazer, dress and skirt. 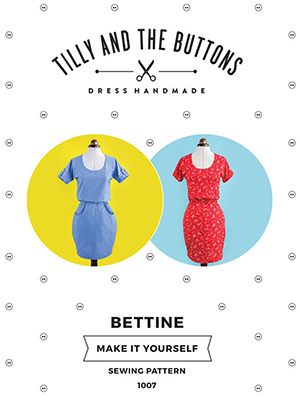 I've heard a lot of Tilly and the Buttons patterns on blogs. People were going crazy over the retro, yet modern designs. So we took the plunge and ordered all of the patterns they have to offer. The great thing about ordering them from us is you don't have to pay for shipping from the UK. More and more customers are buying the activewear and swimwear knits that we carry, so I thought it would be great to offer activewear patterns, too. You can't really have one without the other. So we picked a group of activewear patterns and fashion patterns that work well with fabrics that we carry. The cool thing about their patterns is that they include girls sizes and some plus sizes as well. So whether you're sewing for yourself or a little girl in your life, you get more bang for your buck! (I'm excited to see that these patterns have been going well on our site. In the first week, we sold out of half the patterns and reordered. I again, have been selling out and will be placing another order.) Do you have a Jalie Pattern you would like us to see? If the patterns keep selling, we will continue to add more lines, but we're going to try and keep it fresh. So as spring approaches, I may cut back on winter-type patterns and focus on spring and summer patterns. Fabric Mart would like to be able to give you a one-stop shop for all your fabric/pattern/sewing needs. While we understand that some of you would rather pick up what you need at your local fabric store, we know there are a number of you that don't have any fabric stores near you. Online shopping is the only way for you to access fabric. We're proud to be able to offer that to you. Along with these three pattern lines, we also carry select patterns from- Pamela's Patterns, Colette Patterns, and Thread Theory Design Inc.
Pamela's Patterns recently came out with the Classic T-Shirt Dress. She featured this pattern on an episode of Sewing with Nancy. Thread Theory Design Inc is a men's sewing pattern company and we're proud to carry their line of patterns. They also have one women's shirt pattern, although we are sold out of it at the moment. 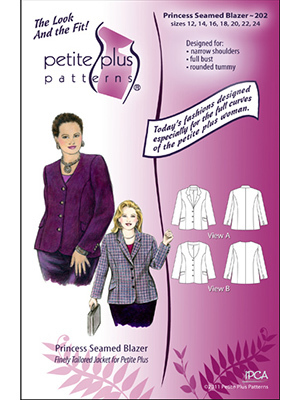 Colette Patterns is a favorite among sewists and we carry just a few of their patterns. We are sold out of most at the moment, but just put an order in for more. What other pattern lines would you like to see us carry? I really want the new Tilly pattern:Orla. Hope you get that one too! That's great that you're carrying Jalie! I'm not on Facebook so missed that vote but think that's a great choice. Thanks! Deer and Doe, if you can work it out with them! Sew Over It was my top pick because of shipping. I also wanted Deer and Doe. What great choices! Thank you so much! Pauline Alice has lovely patterns and beautiful instructions! Also, I recently made a Merchant and Mills top and it was so much fun! What about Style Arc? I also agree with Sew Over It and Deer and Doe. Papercut and Named, too. Sewaholic (http://www.sewaholicpatterns.com/) would be really nice! I love that they design with "accommodating" hips in mind. Also, Sew Liberated (http://sewliberated.com/) has a lot of patterns I've wanted to try, as well as Style Arc as mentioned by Colleen. Whatever companies you end up adding, I still love that you are making them available and expanding the offerings. I greatly appreciate being able to buy fabric, patterns and my favorite brand of thread in one place!